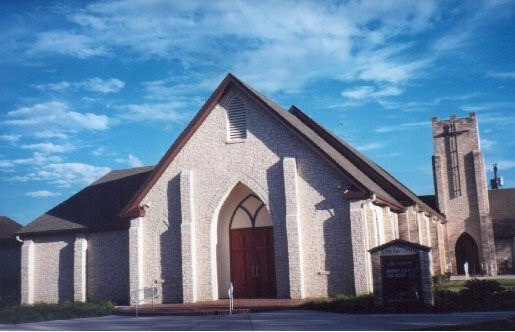 St. John Lutheran Church of San Benito, TX is a congregation of the Lutheran Church – Missouri Synod (LCMS website ). We are a congregation empowered by God’s grace in Jesus Christ trusting and believing that we are saved – reconciled to God – by grace alone through faith alone in Jesus Christ. 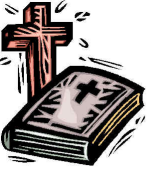 We are a Confessional church body that holds to God’s Word as the sole source and norm of our Christian lives and to the Lutheran Confessions as the true and correct exposition of God’s Word. We believe that we can only be faithful and loving to our fellow human beings when we are faithful to God and His holy, inspired, and inerrant Word. True love for God and our neighbor is a product of the forgiveness we know through Jesus’ sacrificial death and resurrection. In this fallen world that is so full of confusion and hurting and pain, where everything seems to be changing so fast, St. John Lutheran Church of San Benito, TX is a place where God’s undying love in His Son and His timeless truth in His Word can still be found. God’s Word is life giving and life changing, and it will always “accomplish what [He] desire[s] and achieve the purpose for which [He sends] it” (Isaiah 55:11). Please join us for worship, Bible study, fellowship, and Christian love…you are always welcome! To learn more about what we believe, teach, and confess, please click on the link entitled “What About” (link).